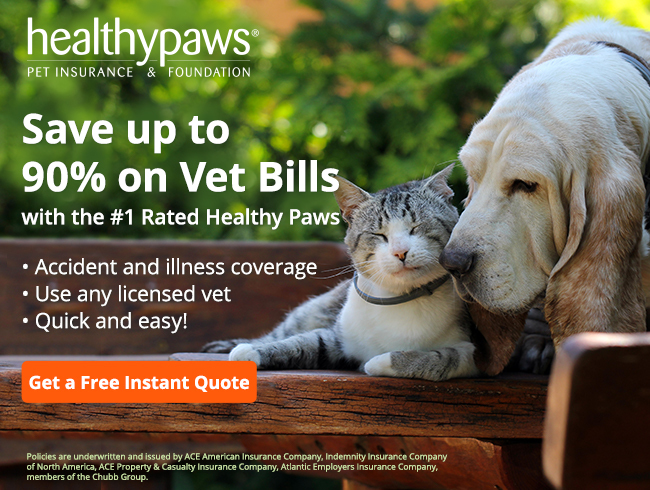 Healthy Paws Pet Insurance covers your pets—for a lifetime. Our pet health insurance plan pays on your actual veterinary bill and covers injuries, illnesses, emergencies, genetic conditions and much more. If your pet needs treatment for any accident or illness (except pre-existing conditions), you’re covered. It’s that simple. One Plan. Four Paws. All CoveredTM!